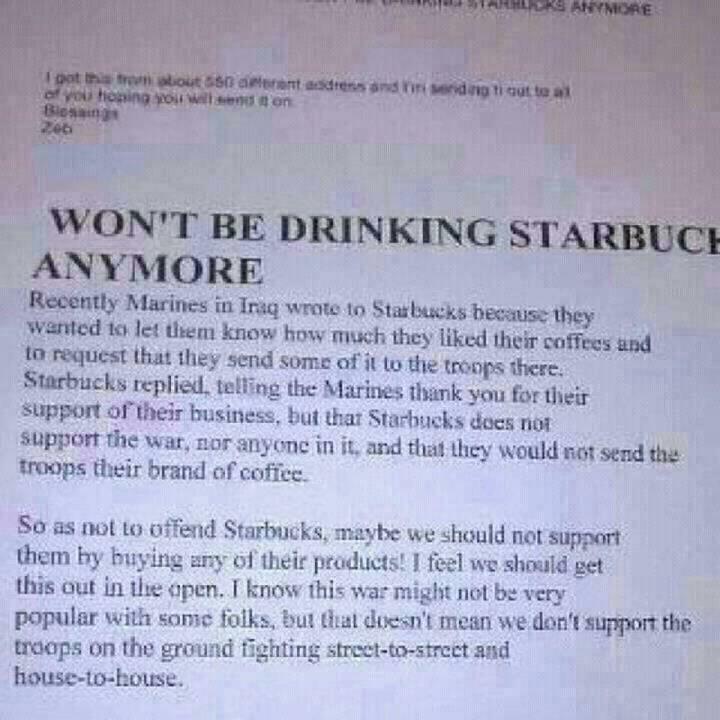 Lately I have been seeing this picture circulating around Facebook with so many people saying they will not drink Starbucks any longer because of it. I myself thought this to be a hoax. 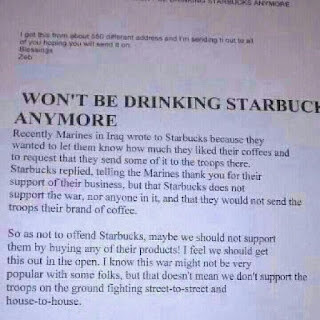 Who knows where it originated but I can tell you that if you click here it will take you to a Starbucks page where you are invited to a 4th of July free coffee at Starbucks. I am thinking this picture has to be a hoax myself. Just scroll down that page to where it says free tall hot brewed coffee on the Fourth of July. It will take you to their Facebook page. What made me so curious about this photo was that Jim sat in a Starbucks at almost every base he was stationed at and used their internet to talk to me online. They even had one in Iraq or Kuwait. Maybe I have taken the time to check on snopes.com to find out what it said about this picture. It is listed here and proves this picture false.